Welcome to a brand new KCL Beauty Edit! I really love doing these, because I'm a total beauty-product junkie and have been since I was a teenager (a very long time ago). This past month I've been trying more organic natural skincare, a new beauty tool, some Influenster goodies and more! I'm most excited to share the skincare with you guys, because my skin is looking better than it has in a long time. I really have to credit my clear, glowing skin to the products I've been testing from S.A. Plunkett Naturals, Romi Apothecary, and Sana Vie. My clear skin is thanks to the Lavender and Charcoal Clarifying Facial Soap I've been using the last several weeks. I've used charcoal products for a long time to help with blemishes and blackheads, so I was very excited to try this facial bar from S.A. Plunkett. It has really kept my outbreaks at bay. I don't struggle with major acne, but I do tend to get a lot of small pimples and the occasional big one. This clarifying soap has kept my skin clear all month long. I tried several other products from S.A. Plunkett that were a part of the Facial Gift Set. 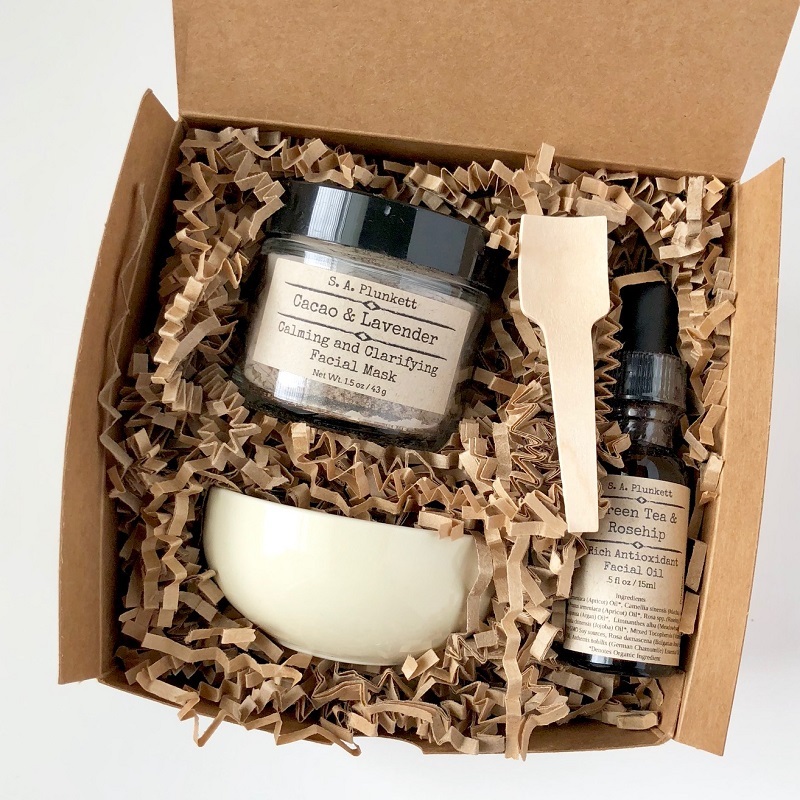 It came with several facial masks, including this antioxidant-rich Matcha Green Tea mask, as well as this ultra-moisturizing Green Tea and Rosehip Facial Oil. Facial oils are one of the biggest skincare trends at the moment, and with good reason. They are so moisturizing and are packed with beneficial ingredients. 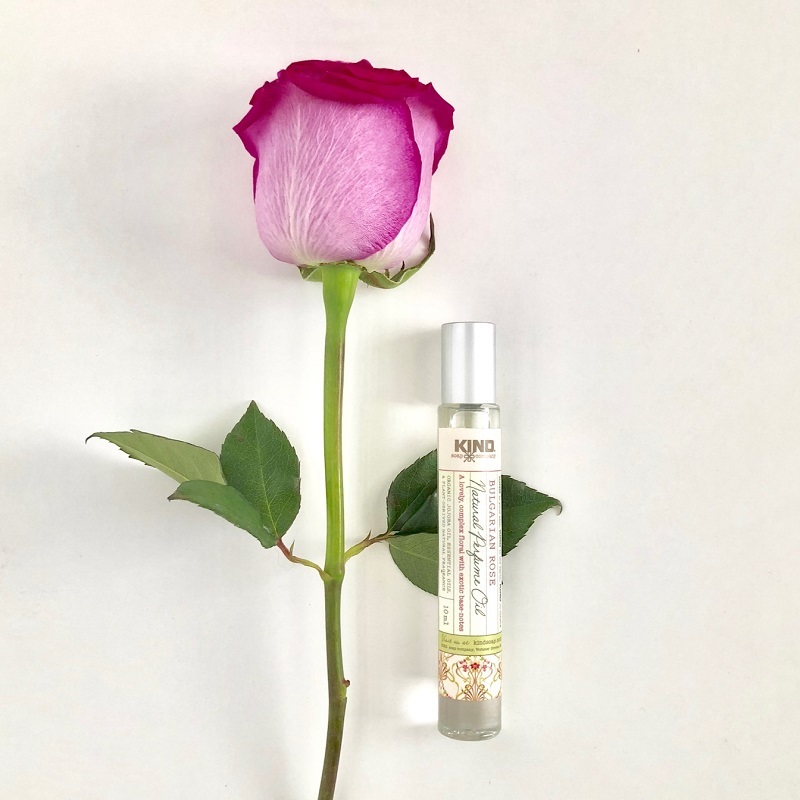 Natural facial oils, like this one, use carrier oils to infuse the product with a concentrated level of antioxidants with anti-inflammatory, antibacterial, and calming properties. Best of all, they don't contain any harsh ingredients that can dry or irritate the skin. This would be great for sensitive skin or dry skin, as it left my dry areas so incredibly soft, though it was also perfect on my oily combination skin. I'd highly suggest it for all skin types. You can see my full review on the S.A. Plunkett products in the video below! I did use one other facial oil this month, and I loved it as well. I wanted a serum to test with my new skincare tool, and Romi Apothecary was kind enough to send one. 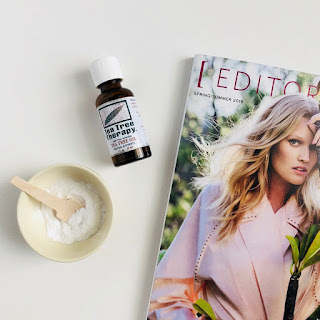 This Brilliance Serum really proved to me that all-natural really can be as effective in treating wrinkles as the department store brands I've used in the past. 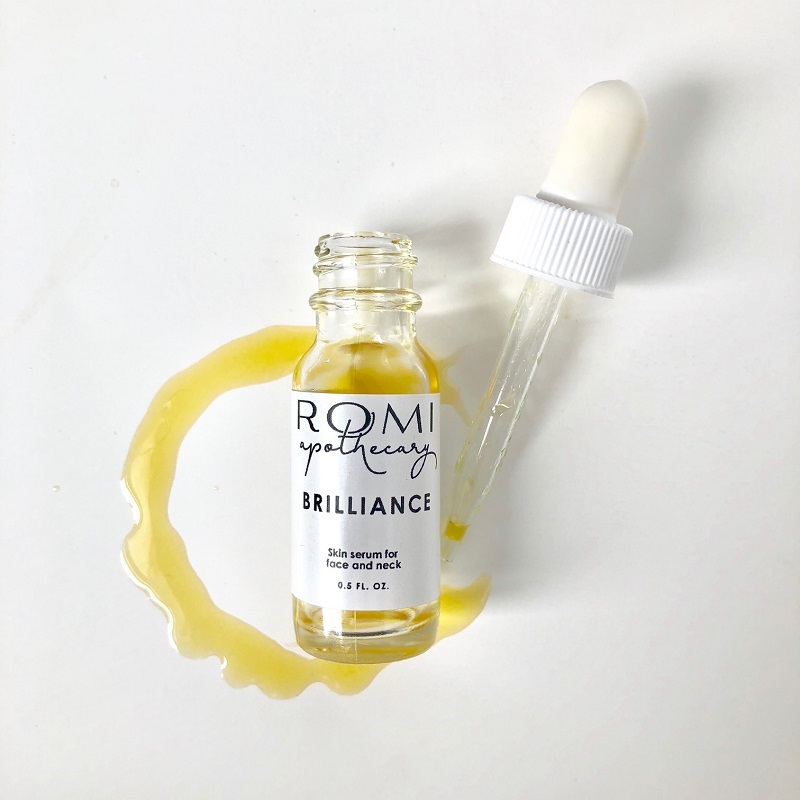 While the Romi Apothecary Brilliance Skin Serum helps with brightening and evening skin tone, it's also formulated to combat the signs of aging by encouraging cell renewal. I definitely noticed a reduction in my deep wrinkles under my eyes. It's also a fast-absorbing oil that won't clog pores, so it's ideal for any skin type and would pair wonderfully with a face cream, like this Romi Apothecary Rose Magic Face Moisturizer. You can shop all of my faves below! To see the entire list of products mentioned in the video, open up the vlog in Youtube right here >. I hope you enjoyed this month's beauty edit! Please leave me a comment below or on Youtube. Though I'm sad to say goodbye to some of these incredible products for now, I'm very excited about the next line-up. I've got some gorgeous new makeup, nail polish, hair care, and skin care coming up on KCL Beauty. You can see it all in a new unboxing video next week, and you'll see sneak peeks on Instagram throughout this month. The unboxing will be on Youtube only, so be sure to subscribe here > and sign up for notifications! Yes! They worked so well. I'd definitely recommend the soap and the roller! That serum looks amazing! Getting a facial roller is on my list of things to get soon. Awesome, Katherine! You'll love the roller! I definitely need to get on the facial roller bandwagon! Definitely! I love mine. I want to get some in other stones as well. And they were so effective! I have so many allergies, so I really appreciated that they were all-natural and very effective too! It is! I've used it several times now and love it! My skin has been so rough lately with late nights and early mornings - definitely want to try this. That mask sounds amazing! Thanks for sharing! Oh this looks like it would feel amazing! The soap and serum sound amazing! Need to try!! Absolutely, Vanessa! They're so effective, and I love that they're non-irritating...and so affordable! This looks really good. I need to try the soap and serum. Thanks for this recommendation dear! Sounds like everyone is wanting to try the soap and serum! :) They're definitely two of my favorites!! 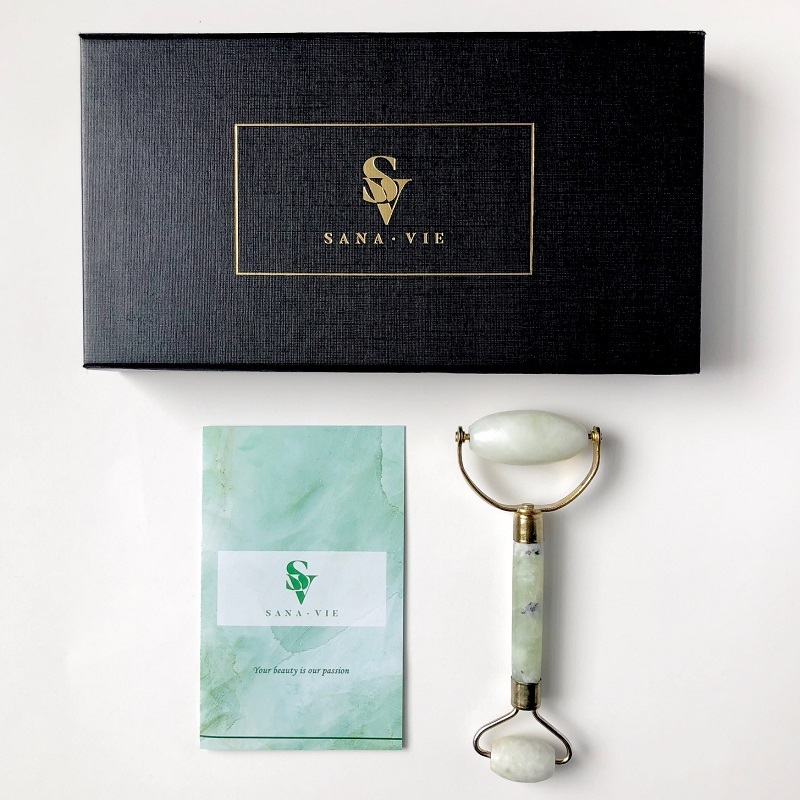 I need a jade roller in my routine! Such a pretty addition!